What’s the Difference Between FLAC vs. ALAC digital formats? 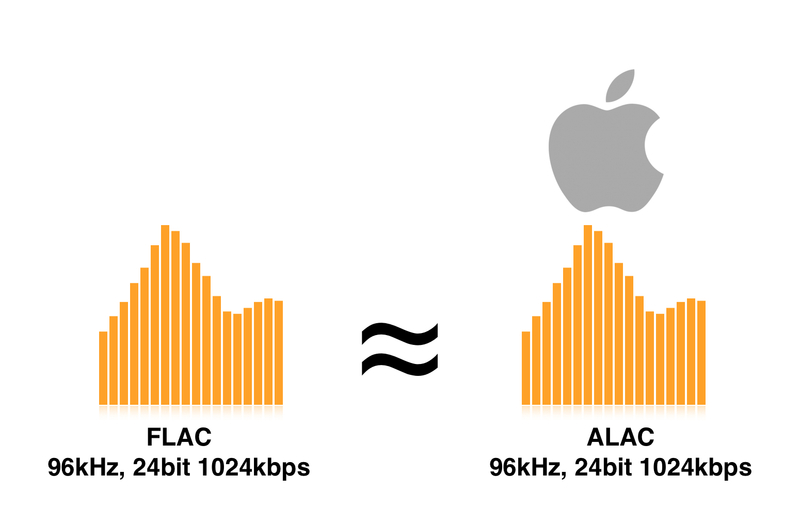 If you're an obsessive audiophile who's crazy about the digits next to bit rate bar and the main principle of yours is 'the more, the better,' you must've eagerly sought to get to know what is the principal difference between FLAC and ALAC. Perhaps you want me to tell you ALAC sounds better with high frequencies and FLAC is the best format for full-of-low-bass tracks? Or maybe that ALAC sound broader while FLAC is all about details? Not today, son. I'm sorry to disappoint you, but regarding audio quality, FLAC and ALAC are absolutely identical (when compressed from the same original recording). Both "FLACs vs. ALACs" are compressed versions of a record from a studio. When the record comes out, it's usually 100-200 MB, which is, by all means, impossible to store on a portable device. That's why compression reduced those original files to make them smaller for more convenient storage and transmission. The good thing about lossless compression is that the size is reduced but not at the cost of the quality. No audio data is lost, hence the name – lossless. So, if we can't hear the difference, why is there even a matter of FLAC vs. ALAC battle? To put it simply, ALAC is a lossless alternative to FLAC designed by Apple. They did it to have their own lossless format which they could distribute as an iTunes-supported lossless format. Most websites with Hi-Res music you offer you both FLACs and ALACs. It's all about whether you're an Apple fanboy or not, but there's no audible difference between the two. Apple people usually prefer ALAC to FLAC. If you have to tight relations with iTunes as a part of your everyday life, then you definitely need to have all Hi-Res files in ALAC format. It's also supported on all iOS-based devices. Download a tool to play FLAC in iTunes. Find the best iTunes alternative for Mac. If you choose to keep iTunes, you can read this article to pick a decent app to solve your issue. The second option is to forget about iTunes and completely move to a music player that supports FLAC, and maybe even other Hi-Res formats. The best one is VOX Music Player for & iPhone. The design is nothing like of iTunes, and it's good because iTunes has too many tabs which are easy to get lost in. The sound engine is the main focus of VOX Music Player so the playback of your music is of the highest quality. And, why I'm telling you this here is because VOX can play FLAC and ALAC and many more lossy and lossless formats. VOX is available for Mac, iPhone, and iPod. Lossy vs. Lossless – what do they stand for? You can also connect your SoundCloud and Spotify accounts to VOX Music Player to create unique playlists comprised of music from these streaming services. For music show-offs, there's integrated scrobbling to Last.fm that allows you to keep up-to-date stats of your playbacks. You can also unlock 30,000 radio stations through an in-app purchase. Lastly, since Hi-Res using takes up too much space as for a portable device, VOX developers designed an unlimited music cloud storage called VOX Cloud (formerly LOOP Unlimited Music Cloud Storage). VOX Cloud is not just an ordinary music locker, but an unlimited library with shelves ready for being stuffed with your favorite music. It syncs your iPhone and Mac letting you stream from VOX Premium account on both devices. You can connect up to 5 devices to one VOX Premium account to share your music collection with your friends and family. The main thing that differs VOX Cloud (part of VOX Premium) from other music lockers is that it keeps the original quality of any song you upload. It doesn't convert anything like SoundCloud does (everything to MP3 at 128 kbps). Hi-Res remains Hi-Res. When you upload music to VOX Cloud (you can do it through the VOX Premium web account also), it becomes available for listening on your iPhone as well. 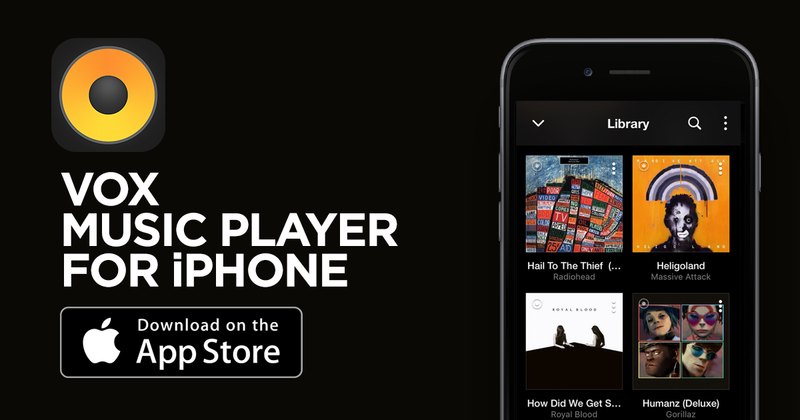 This makes VOX the best option for listening to FLAC and ALAC on your iPhone as you can listen to all Hi-Res formats and not be concerned about how much space it may take. VOX Cloud is available to VOX Premium users exclusively. The ultimate FLAC vs. ALAC question you to answer is not which is better (spoiler: both are great) but which one is more suitable for you. That actually boils down to what audio plays you want to use. With VOX Music Player there are no limits regarding the formats audio codecs. Enjoy the chills with VOX.